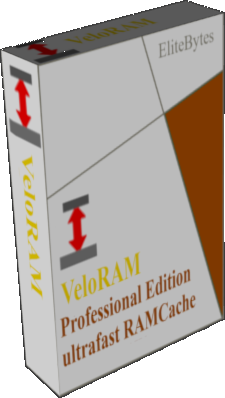 VeloRAM RAM Cache software product editions matrix. Allowing highest IOPS / MBPS values. New VeloRAM Benchmark on PCIe SSD and DDR 3 RAM. Benchmark of SSD. Left SSD only, right SSD with VeloRAM Cache. Clearly visible is the powerful acceleration when VeloRAM is active. Huge potential 4-8 times faster then a PCIe SSD. Rather old VeloRAM Benchmark on SATA2 SSD and DDR 2 RAM. 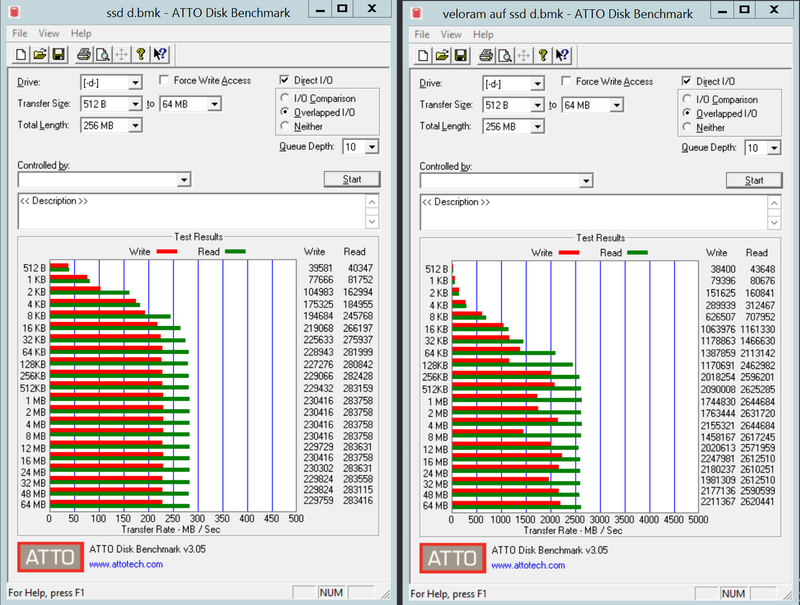 These Benchmarks ran on the same SATA2 Hardware. Clearly visible is the powerful acceleration when VeloRAM is active. Curves seem similar on first look. But itÂ´s almost 10 times faster. Ran with the VeloRAMTrial.